Townsend – Harlis B. Ryals, 80, passed away Thursday, August 23, 2018 at his home under the care of his family and hospice. He was a native and lifelong resident of Townsend, retired from CIC Industries as a heavy equipment operator and was self-employed after retirement. 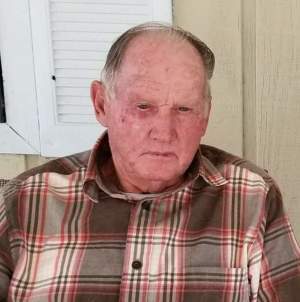 He enjoyed the outdoors and hunting and attended Eulonia Church of God of Prophecy. He was preceded in death by his son, Craig Ryals and brothers, J.L. and Eddie Ryals. Survivors are his wife, Iona Poppell Ryals; daughters and sons-in-law, Glenda and Irvin Davis and Tammy and Gareth Braxton; son and daughter-in-law, Terry and Shannon Ryals all of Townsend; sister, Edith Poppell of Midfield, AL; brothers, Mason Ryals, Carlis Ryals, Mickey Ryals, and Kenny Ryals all of Townsend; six grandchildren, twelve great-grandchildren and several nieces and nephews. Visitation will begin at his residence, 1212 Harlis Ryals Road, NW, Townsend, at 4 PM. Saturday, August 25. Graveside services will be Sunday, August 26 at 2 PM at Davis Cemetery in Long County with Rev. Danny Stilwell and Rev. Jamie Rivera officiating. Active pallbearers will be Chad Davis, Jeffrey Davis, Dustin Ryals, Stephen Ryals, Kyle Davis and Leonard Ryals.